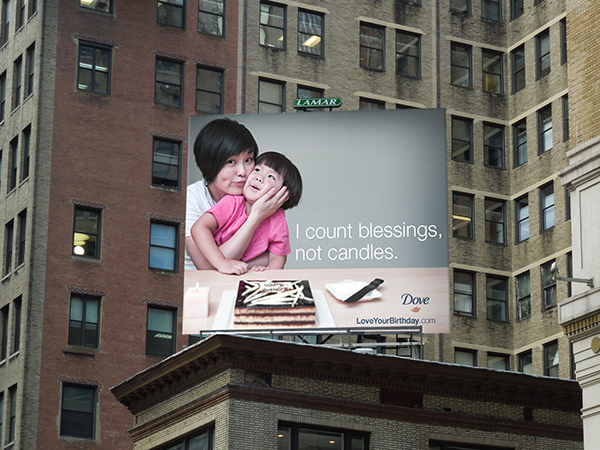 In October 2012, I participated in a two-week workshop organized by Dove and London-based Nous that gathered 36 recent graduates from the top design schools in New York City to pitch 12 new ideas to Dove. 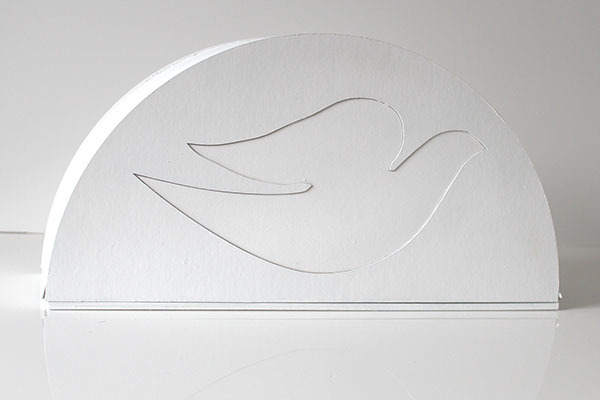 Jurors from several industries and several from the Dove global marketing team in London were brought in on the last day to select the top ideas to be implemented by Dove in the coming year. 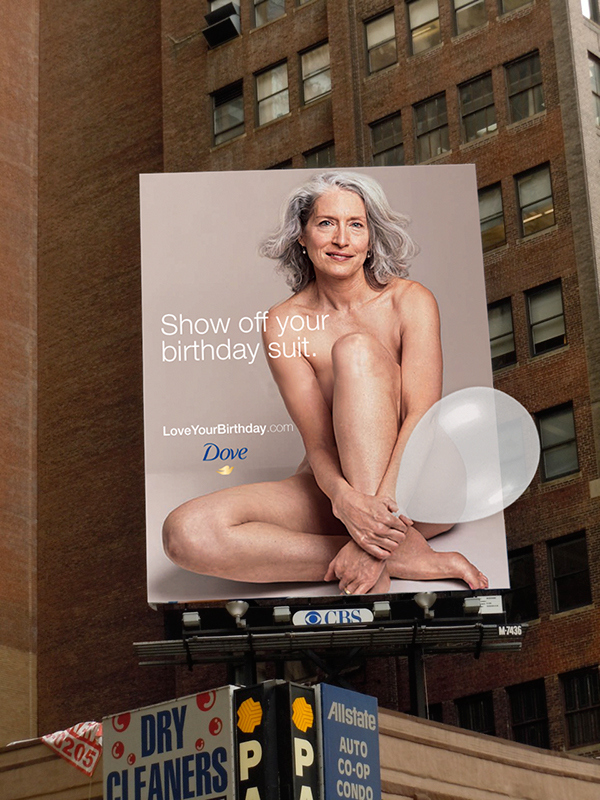 Our pitch is a multi-platform campaign that encourages women to celebrate age by celebrating their birthdays with Dove. 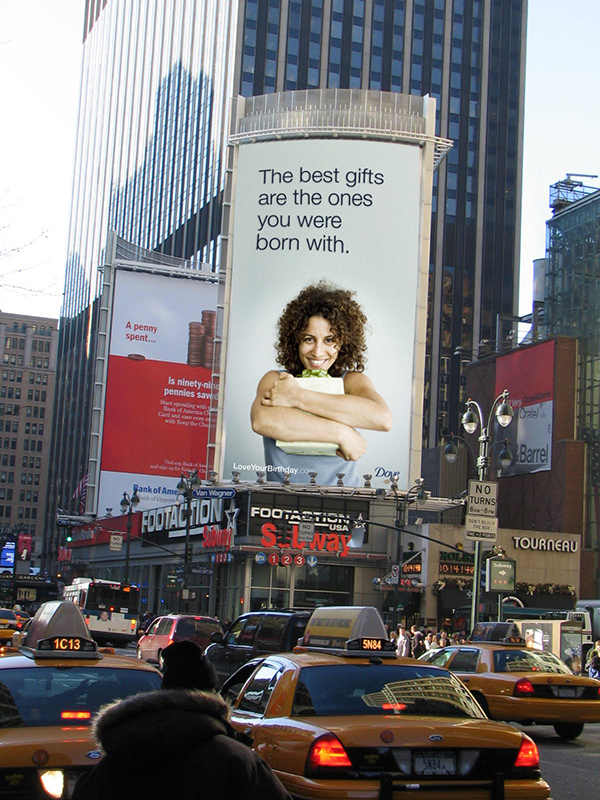 Based on the notion that most women get to a point in their lives when they start dreading their birthdays, we wanted to reverse the perception and encourage age to be measured by accomplishment, experience and beauty. 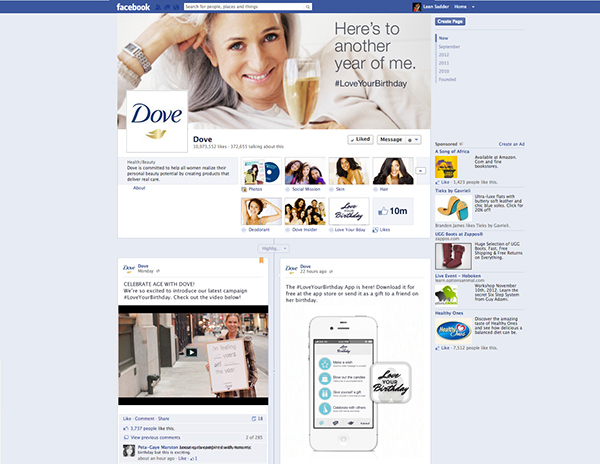 The campaign launches with a series of ads, a social media campaign, a mobile app, and eventually a limited edition Dove product. Our idea won 1st runner up among 12 groups- so check out the results below! We went around NYC and asked women three questions about their birthdays to learn more about the problem. 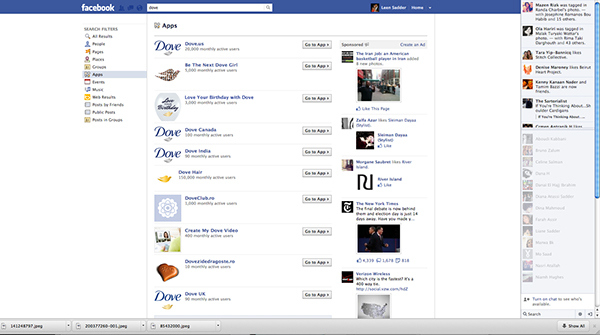 The "Love Your Birthday" Facebook app is launched among the other Dove apps. 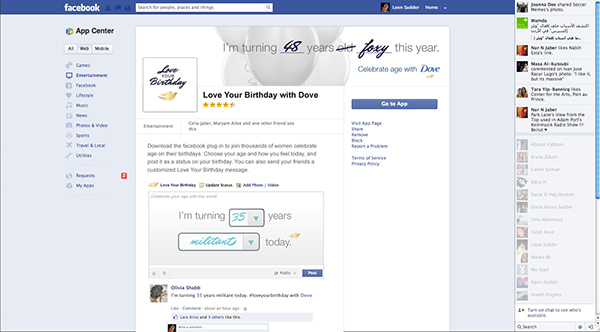 The Facebook App allows you to install a plug-in that encourages women to post a status on their birthdays that celebrates how they feel, rather than how old they are. 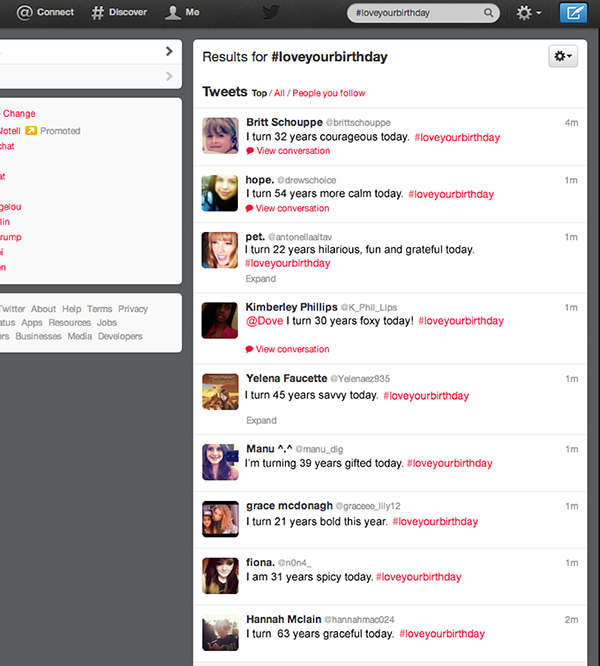 The hashtag #loveyourbirthday is launched on Twitter, allowing thousands of women to celebrate their birthdays together. The Dove Birthday Kit (prototype shown) is a gift you give yourself on your birthday that includes a beauty bar, body wash, limited edition candle and Love Your Birthday balloon. 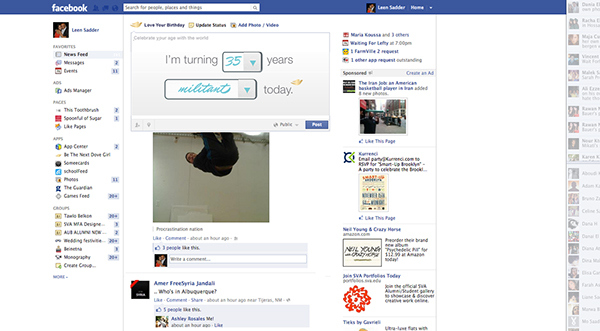 You can customize the contents using the Love Your Birthday mobile app and get it delivered to yourself. 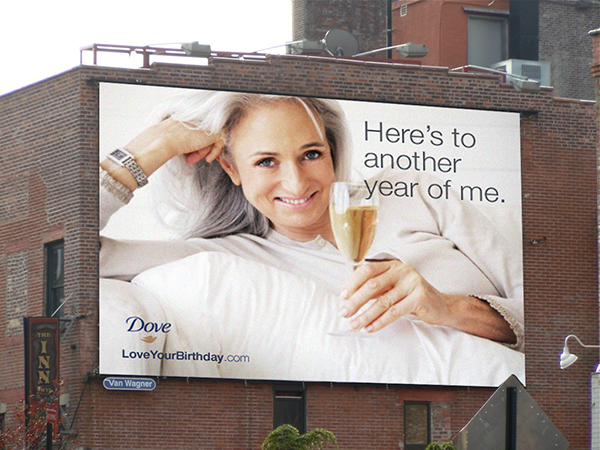 A multi-platform campaign pitch for Dove, encouraging women to celebrate age by celebrating their birthdays.